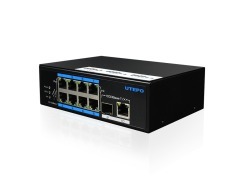 UTP7308GE-POE is 8 Ports Industrial Full Gigabit PoE Managed Switch. Provide 8*10/100/1000Base-T RJ45 ports(PoE), 4*1000BASE-X SFP ports(Unlinks). The switch provides up to 4Mbit cache, Support 4K high-definition video transmission. 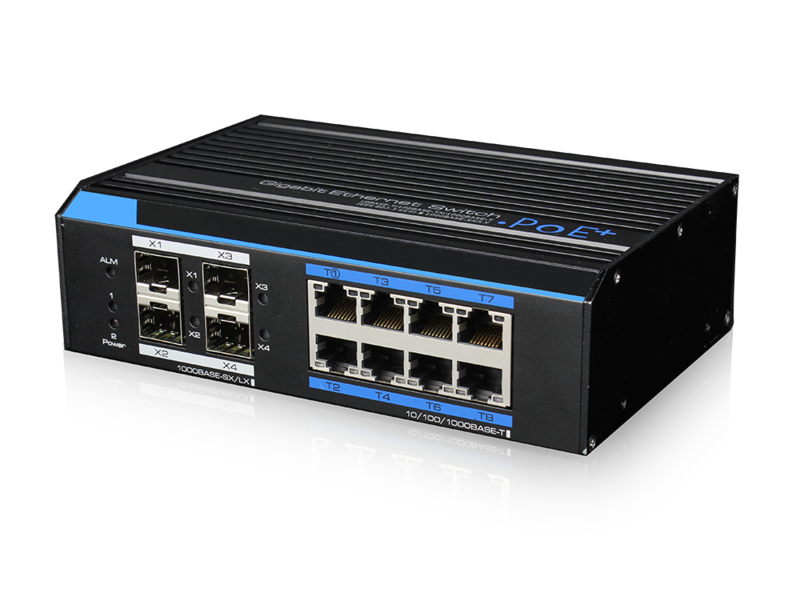 Besides, the 8 downlink PoE ports support IEEE802.3af/at standard. 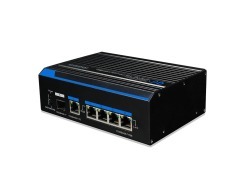 It supports Web-based network management, support VLAN, QoS, RSTP, SNMP etc. network function; Working temperature -40℃～75℃, strong level of protection from lightning, anti-interference. It fully satisfies the needs of security video surveillance project. 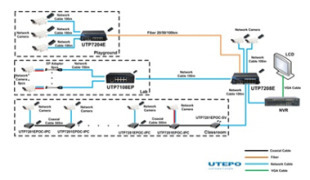 FOR MORE INFORMATION CONTACT SHENZHEN UTEPO TECH CO., LTD.